Sylvie Pullès has won glory in the Massif Central. The young author, composer and interpreter on the accordion, born June 8th 1972 at AURILLAC (CANTAL), has carried off for the last few years the enviable and envied title of « Queen of Auvergnat folklore », following in the footsteps of her illustrious predecessors by the name of Jean Ségurel, Jean Vaissade, Georges Cantournet, Robert Monédière and André Thivet. What a dazzling ascent for the accordionist from the Auvergne! 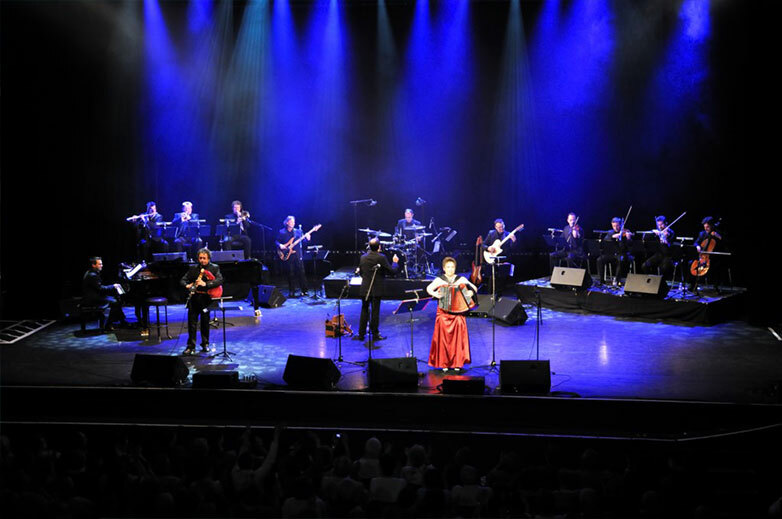 From being a little country girl who started from nothing and went public for the first time at Saint Martin sous Vigouroux at the age of 12, in just a few years she has become the incontestable star of the accordion. 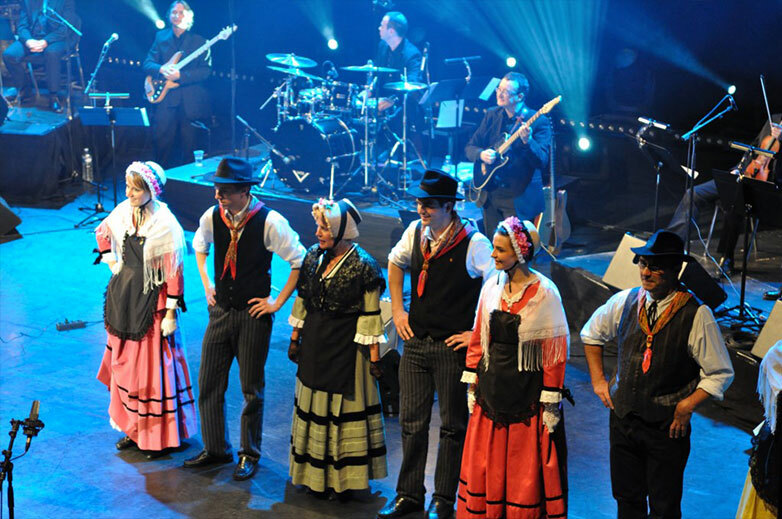 God only knows the history of traditional music in the Massif Central is rich in accordionists and cabrettaires who have immortalized this festive tradition. No other representative, however, has travelled as widely throughout the world as our vivacious Auvergnate. Sylvie Pullès, with her passion, courage, hard work and endless ambition, has created for herself the image of a fighter in the service of her beautiful region and its customs, a mission that has become a symbol. In the 28 years of her career she has entertained at thousands of dances, fêtes, galas etc…. the Balajo, regional French open-air cafés and innumerable festivals. In 2004 , she was on the Millau viaduct for its inauguration, with President Jacques Chirac present. On this occasion she composed « Si tu vas à Millau » (« If you go to Millau »), a song that became a hit. Apart from compositions glorifying her region, her CD’s and DVD’s are too many to count! 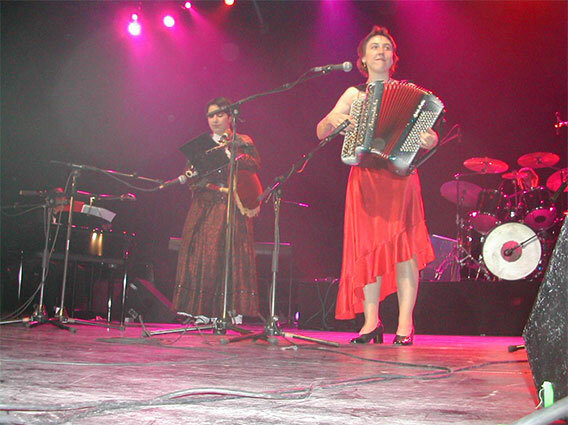 On May 8th 2010 Sylvie PULLES converted the OLYMPIA to the accordion ! All the best-known names in the world of song, show-biz and variety have performed at the Olympia. This is not so for the accordion. Sylvie was not born when André Verchuren played at the Olympia in 1956 , in the first part of Dario MORENO’s show. 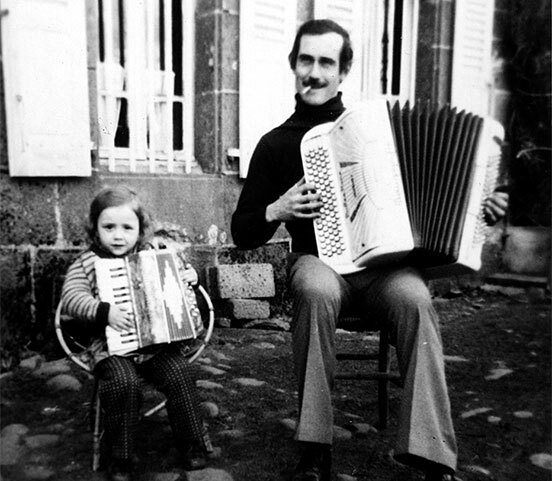 He was the first accordionist to perform on the most famous of all French stages! 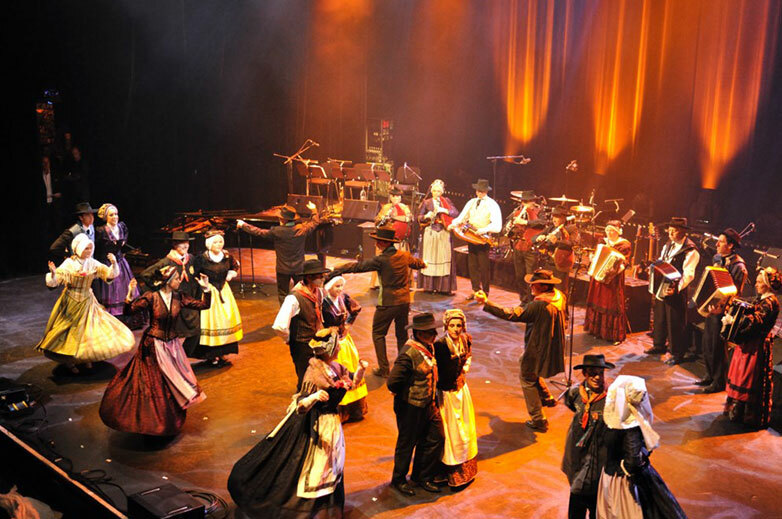 54 years later, on May 8th 2010, Sylvie Pullès occupied the celebrated music-hall and made it resound with the traditional airs that have immortalized the folklore of the Massif Central, allowing the spectators to discover all the wealth of tradition of this region where folklore has not remained static, but is still music that is very much alive and has evolved in the respect of its origins. In 2013 , she is again invited to the Carrefour Mondial de l’Accordéon (Accordion World Crossroads) in the State of Quebec. Sylvie is preparing her next OLYMPIA performance for May 30th 2015 to celebrate her 30 year old career. Olympia on May 8th 2010 playing to a full and fully-satisfied house. 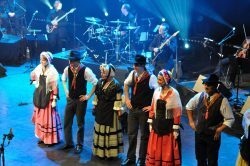 The vigorous accordionist from the Auvergne will do the same again on Saturday May 30th 2015 to celebrate her 30 years of career. 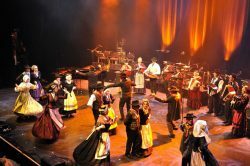 An event worthy of the « Queen of the Auvergne ». During these 30 years , Sylvie has produced some fifteen albums and almost as many videos, not to mention her innumerable compositions, and of course her many appearances at dances, galas, festivals and other occasions in France, but also abroad : Argentina, Germany, Spain, Canada, the Reunion, Denmark etc…..
She is THE ambassador of the Auvergne. Also amongst her performances : the Agricultural Exhibition, the Tour de France, the Zénith, the Paris Casino, the Balajo, open-air regional cafés of France, the World Accordion Crossroads in Quebec, the inauguration of the Millau viaduct , not to mention innumerable radio and TV broadcasts. 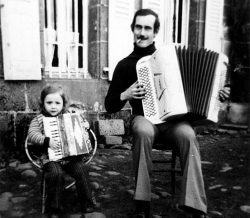 She has also been on the cover of the French magazine « Accordion and Accordionists » several times. showing passion, courage, talent, an unquenchable thirst for communicating her love for the traditional music of the Massif Central and for the popular accordion in general. André VERCHUREN in 1956 . The second (and first woman !) 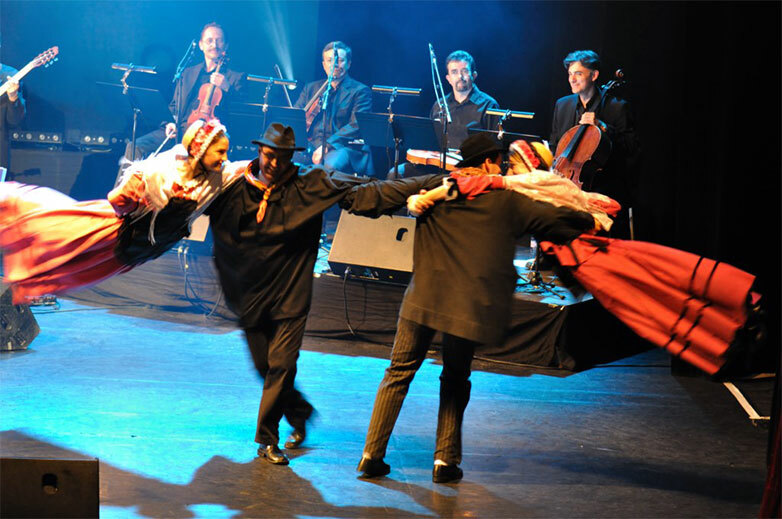 was Sylvie in 2010…..54 years after « King VERCHU » ! By the way, let’s digress for a moment : « to do the Olympia » means to perform as a star, as was the case for Verchuren and Sylvie . Apart from these exceptions, other accordionists have played at the Olympia as invited guests or accompanists. It’s not quite the same thing! An allusion of course to those who say they’ve « done the Olympia » when they’ve just made a brief appearance there. 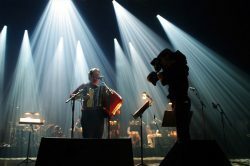 One conclusion must be drawn : by doing the Olympia in 2010 and being such a triumphant success, Sylvie Pullès has opened a door and converted the Olympia to the accordion.